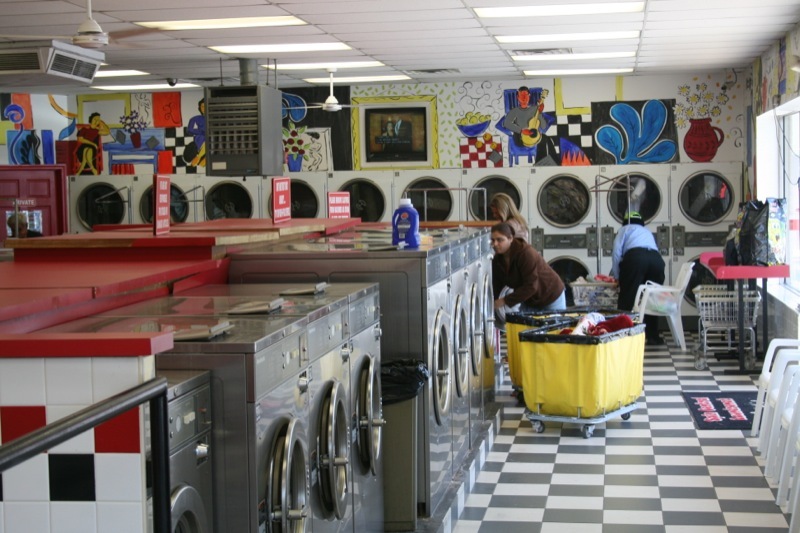 Bright, vibrant colors adorn the walls at the Avenel Spin Central Laundromat at 519 Avenel St – inspiration to get your colors to their most vivid and whites to their whitest. Family owned and operated for over a decade, Avenel Spin Central takes pride in the services we provide. Unlike many other bare bones laundromats in Avenel, we always have an associate attending the front counter who’s happy to lend a hand for those big loads or to help fold that doublewide tablecloth. Plus, if you’re in a bit of a rush and can’t get to your laundry yourself, we offer same day wash, dry, and fold service. Our large location (and parking lot!) make any and all of your washing needs simple and hassle-free. At Avenel Spin Central Laundromat, we’re confident you’ll be thoroughly satisfied with your washing experience and continue to come back time and time again. These economic times are tough. At Avenel Spin Central, we don’t believe it should cost you a lot to look like a million bucks. Our wash, dry, and fold service is offered at $0.99 per pound (based on 10 lb minimum). No other wash, dry, and fold service in the area can extend a deal like that. After doing your laundry here, stains are the only thing that should disappear – never dollars and pennies. We also offer a wide range of top quality products at affordable prices, detergents of the highest caliber, softeners sure to lighten any load, and bleach to get those whites to their whitest are all offered at competitive prices. Click here for coupons and take a spin on down to Spin Central Laundromat at 19 Avenel St in Avenel and get your wardrobe clean for the new summer season.